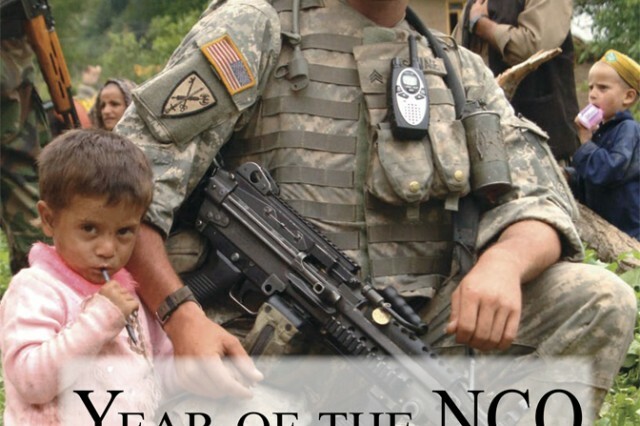 Sergeant Jeffrey Dilcher's letter (in May's issue) taking exception to the photo used in the "Year of the NCO" insert shows that this Army oftentimes can still be more about style than substance, which as a noncommissioned officer, I find more disconcerting than whether a guy's sleeves are rolled up. I look at the images of NCOs from World War II in particular. Sleeves are rolled up, uniforms are out of sync, and yet victory in Europe and the Pacific was won by these dog-faced warriors, many of who were exceptional junior leaders. I won't even get into the bearded faces and lack of uniformity of our Civil War veterans! That image tells a story. It shows an NCO in the field, on the mission, getting his hands dirty with the locals. Maybe he wasn't issued eye protection, or perhaps his chain of command didn't require it for that mission. Maybe, too, his chain of command was using those radios for a reason, determining that the IED threat in their area was inconsequential. Maybe he had just made an excruciating journey through tormenting terrain. Chinstraps get sweaty and uncomfortable. He's still wearing the helmet and his vest, however, and his weapon is ready to go. "Jacked up" or "squared away" are matters of perspective, and I like the gritty concept imparted by this image. It's our most important value as NCOs: leadership from the front. I'm proud of this NCO, working his craft in the field, and frankly, I'm disgusted that we have to indulge a junior NCO judging another junior NCO through the lens of "garrison eye." Leadership isn't just about nitpicking; it's also about imagination and inspiration. 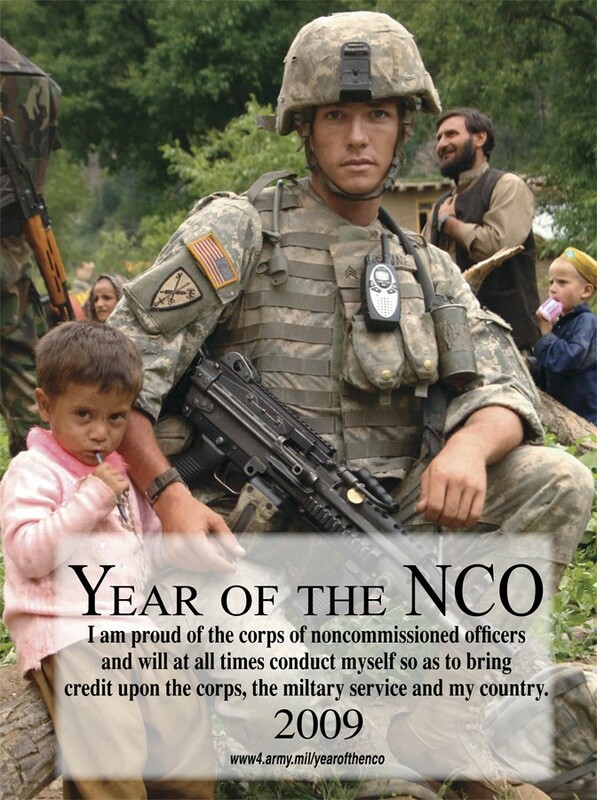 Those are the qualities that move "marginal" to "exceptional" in leadership parlance, and I would say more than scrutiny of standards, is why this year should be the "Year of the NCO."